The VIZIO SB36512-F6 soundbar System is one of the first inexpensive Dolby Atmos-capable soundbars to hit the market. Embedding two up-firing speakers into the main soundbar, the SB36512-F6 creates height effects by bouncing sound off your ceiling and toward the listener. The SB36512-F6 also includes dedicated surround speakers and a wireless subwoofer to deliver a true 5.1.2 surround sound experience. As I’ve come to expect from VIZIO products, the SB36512-F6 offers a compelling mix of solid build quality and a great feature set in a very easy to use product. Setup is a snap, and the system really delivers a lot of bang for your buck. While not my first choice for a music-heavy setup, its performance with movie soundtracks is very good given its modest cost. 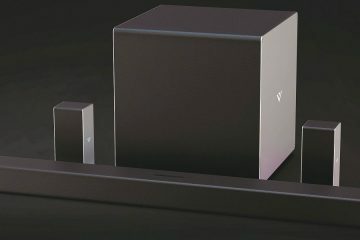 After recently reviewing the VIZIO SB4051-D5 soundbar system and being impressed with its value for the dollar, I was very excited to see their announcement of soundbars that would contain Dolby Atmos-enabling height speakers. Today we have the first of VIZIO’s Atmos-capable soundbar systems up for review, the SB36512-F6. Consisting of a 36” soundbar, a 6” wireless powered subwoofer and dedicated surround speakers, the SB36512-F6 is a very complete package with a list price of only $499.99. 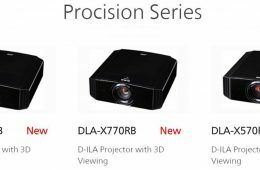 The VIZIO SB36512-F6 consists of four components. A 36” wide soundbar houses the front left, front right, center channel, along with left and right up-firing drivers. The soundbar is a simple design covered in black fabric with silver plastic endcaps. Personally, I preferred the black metal mesh design used for the SB4051-D5 I reviewed earlier this year as it looks and feels a bit more upscale than the black fabric covering here. On top of the soundbar are buttons for power, input selection, Bluetooth pairing, and volume. There are also white indicator lights on the left front edge that light up in different combinations to denote various settings and the volume level. A small blue light indicates Wi-Fi status. The lights turn off a few seconds after you’ve made a change. Around the back are the input terminals. There are two HDMI ports, one input and one output to support ARC (Audio Return Channel). I was glad to see that VIZIO included inputs other than HDMI, like USB, optical, coax, and a 3.5mm analog mini-jack for old-school sources. With these options, pretty much any audio source can be connected. There is also an Ethernet port for wired network connectivity in addition to the built-in Wi-Fi and Bluetooth (which supports Bluetooth 4.0 but not AptX). A standard detachable IEC power cord rounds out the back-panel options. My only wish on the connectivity side would be for an additional HDMI port or two. The 6” wireless subwoofer continues the theme started with the soundbar, with a black fabric covering and silver plastic endcaps. The subwoofer has its own detachable IEC power cord and two RCA outputs for the surround speakers along with a power switch and a pairing button. The subwoofer is paired to the soundbar when you take it out of the box, speeding up the initial setup time. The surround speakers are miniature versions of the soundbar, with more of the black fabric material and side caps of silver plastic. There is a single RCA jack for the speaker cable, which connects to the subwoofer for power and signal using the included speaker cables. These cables are 15 feet long and should be adequate for most setups providing that you place the subwoofer towards the back of your room. Setting up the VIZIO SB36512-F6 in my family room was a simple task. I didn’t need to refer to the manual, but the instructions are easy to follow if you need them. The soundbar went on my TV cabinet and subwoofer went in the far corner of my family room between an end table and the wall. The wireless function of the soundbar allows a lot of flexibility for placement since you don’t need to run any wires (besides power) to the sub. Dolby recommends a flat ceiling of 7.5-12 feet in height for optimum performance of up-firing Atmos speakers, so my 10-foot ceiling height was right in the ballpark. The surrounds went on top of two of my end tables and I connected the wires between the sub and the surrounds. The sub is paired to the soundbar at the factory, so all you need to do is connect the power to both the soundbar and sub and you are pretty much set. Most users will run an HDMI cable from an HDMI-ARC jack on their TV to the HDMI-ARC jack on the back of the soundbar and be done, using their TV’s HDMI inputs to switch between HDMI devices (Blu-ray player, Xbox, etc). I used that jack as the HDMI out as my circa-2006 Fujitsu plasma TV predates HDMI-ARC and fed the soundbar via the HDMI-in port. If you have any other sources, you can hook them up to the digital optical, coaxial, USB, or 3.5mm mini-stereo inputs. If you have a wired network connection, you can hook that up or use the built-in Wi-Fi. There is also a USB input, but it only handles lower resolution files (up to 16-bit/44.1kHz). You’ll definitely want to network the SB36512-F6 in some way to take advantage of its streaming features and to use the VIZIO SmartCast app. The app doubles as a remote control for the soundbar and allows access to all advanced setup options. 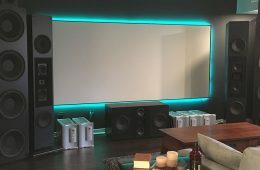 VIZIO is also kind enough to include the brackets and screws necessary to mount the soundbar and surround speakers to your walls. They even provide a template to ensure you don’t make any mistakes when drilling the holes. A full complement of cables (HDMI, Optical, Coaxial, RCA) is also included in the box. To get a feel for the overall sound of the SB36512-F6 I started off with some Bluetooth playback from an iPhone 7 (with all EQ options and Sound Check set to off). My phone paired effortlessly and within about two minutes I was ready to go. However, first I went into the SmartCast app and turned off “surround sound” so I could hear the soundbar in strictly 2-channel (plus subwoofer) mode. As I learned in my VIZIO SB4051-D5 review, the simulated surround sound mode treats stereo music sources rather poorly, creating a very “phasey” sound that does little for 2-channel imaging and clarity. Unfortunately, the sound over Bluetooth was very compressed sounding to my ears. 320kps encoded MP3s of Norah Jones’ “Little Broken Hearts” sounded very thin and lifeless, even over the Bluetooth 4.0 connection between my phone and the soundbar. Changing the EQ from the default “Movie” mode to “Music” helped a bit but things still didn’t sound great. Taking an already compressed source and sending it over a further compressed transmission protocol is not a recipe for great sound. Frankly I have never heard truly satisfying music over Bluetooth, so I really can’t fault the SB36512 here. I typically get better results using IP-based streaming, so using my wife’s Galaxy S9, I fired up our Amazon music account and started casting some random music over to the SB36512-F6. The great thing about casting is that once you hit the “cast” button from the VIZIO SmartCast app (or whatever music app you’re using), the soundbar takes over streaming the signal, leaving your phone free to do other things. Even with Amazon music’s circa-256kps “high quality” setting, I greatly preferred the sound of casting to the doubly compressed Bluetooth signal. Now, “Say Goodbye” from “Little Broken Hearts” sounded more like music to me. Clarity was superior to the Bluetooth streamed version and midrange performance was noticeably better. While the midrange was still recessed, most noticeable in the tone of Norah’s voice, at least there was no longer a foggy haze over most areas of the sound. Wanting to test the true capabilities of the SB36512 without worrying about the source quality, I connected my Sony BDP-BX520 Blu-ray player directly to the soundbar’s HDMI input and popped in the first CD from Metallica’s “S+M,” their performance with San Francisco Symphony Orchestra. I went right to one of my favorite demo tracks from this disc, “The Call of Ktulu.” With the limitations of Bluetooth and low-res sources out of the way, I could better assess just what the system could do. The first thing I noticed is that the EQ modes do make a noticeable difference to how things sound. The Movie mode was pretty terrible, with extremely bloated bass and muddy mid-range (even though VIZIO states that Movie mode boosts mid-range frequencies for better dialogue intelligibility). As with the SB4051, the Music mode was much better, with much less boosting of the bass frequencies and clearer, more natural treble. This fits with VIZIO’s explanation that Music mode produces a flatter, more natural frequency response. However, it still wasn’t perfect. Fortunately, VIZIO has included a new EQ mode with the SB36512 – Direct. As I learned later from VIZIO, “the Direct mode plays the incoming signal as it is encoded, with a natural or flat response and no enhancement, psychoacoustics (i.e. DTS Virtual:X), or channel matrixing.” It was clearly the best choice for 2-channel music sources, though I still had to drop the subwoofer level a step as well as reduce the bass setting by two steps to get natural sounding bass. There were still issues with the mid-range being slightly recessed, but a one-step reduction of the treble control helped balance out the overall sound. With the system thus tweaked, I listened to “Ktulu” again and was much happier. The bass drums now had solid kick without being too bloated, at least down to around 40Hz. The mid-range was still very thin sounding, but higher frequencies were good, with some of the strings and Lars’ cymbal crashes even having a bit of “air” in their presentation. Dynamics were ok, though my fairly large family room (22’ x 15’ with a 10’ ceiling – and open to large kitchen) was a bit of an unfair challenge for the SB36512. As I started pushing the volume up to appropriate “Metallica” levels (90dB+), things got a bit harsh, with audible distortion becoming apparent first in the front two channels, then in the bass from the sub. The SB4051-D5 I tested earlier this year was able to play cleanly at slightly higher levels before giving up the fight. If you are using the SB36512 in a more appropriate setting like a smaller den or bedroom it should be more than adequate though. Another negative was a very narrow soundstage. These speakers just don’t project a very wide sound field, so they are not ideal for filling a large space. Even sitting directly in front of the soundbar didn’t give me much sense of stereo imaging, never mind any sense of sound stage depth or height. Overall, if your primary listening consists of music sources, I would recommend the older SB4051-D5 over this soundbar. Not only did it play louder without distortion, its mid-range performance was better, and the slim subwoofer was tighter sounding. It also projected a better sense of space within a recording. The 4051 is slightly larger and only had to spread its engineering dollars across six channels as opposed to eight, so I’m not really surprised that it sounds slightly better with music. While the 2-channel music performance of the SB36512 was less than thrilling, it more than redeemed itself when playing back movie soundtracks. Since my main theater system isn’t yet Atmos-capable, I was chomping at the bit to try out the Atmos speakers on the SB36512. While I don’t have an Ultra HD Blu-ray player in my family room, I do have a few standard Blu-ray discs with lossless Dolby Atmos tracks. One quick note: if you want to get the true lossless Atmos signal from your disc player you will most likely need to connect it directly to the soundbar’s HDMI input. Most devices will only pass a lossy Dolby Digital Plus version of the Atmos track when using the HDMI-ARC ports on many TVs. Your display must have an HDMI-eARC port to pass the true lossless Atmos signal. If you ever have any doubt about what signal the SB36512 is receiving, you can view that within the SmartCast app (under System>System Information>soundbar Information>Audio Type). The front of the soundbar will also show a little green light for the first few seconds it receives an Atmos track. First up on my list was “The Hunger Games: Mockingjay Part 1.” I went straight to the scene where District 13 is struck by an aerial bombardment from the capital. The effect of the height speakers was frankly much greater than I had expected. As Katniss and the rest of the citizens are holed up deep in the underground city, bomb after bomb explodes far above their heads. The height speakers really added an extra layer of realism to the whole scene, not only by making the impacts sound like they were coming from above my head but also with the sounds of falling concrete and rocks tinkling down from above. The sub handled this scene pretty well, with good thump to the explosions. The dedicated surround speakers made their presence known as well, helping me to hear additional pieces of debris falling around our heroine. As I noted in my SB4051 review, the use of dedicated surround speakers is a real advantage and I hope that VIZIO keeps this up with future models. Dialogue intelligibility was good, though I did bump up the center channel output one notch in the SmartCast app to better balance the sound with the left and right front speakers. Next up was “The Fifth Element,” one of my all-time favorite movies. In the interest of time, I went right to the “Diva Scene.” I have watched this scene hundreds of times and was really surprised at what the height speakers added to the experience. Remember how I complained that the SB36512 didn’t cast a very big soundstage during 2-channel listening? Well, with the height speakers running, the sense of the opera house’s space was vastly increased. The Diva’s incredible voice really filled my room, nicely emulating the acoustics of a well-designed theater. While I still noticed that the mid-range was less full than I’m used to, it wasn’t distracting. Even more fun was the effect the height speakers had on Diva Plavalaguna’s voice as she’s speaking to Korben after being shot. The height speakers emphasized the ethereal quality to her voice, making it seem to emanate both from in front of me as well as above. I kept this disc running into the next scene where Korben fights the Mangalores to give the system a real workout. I had the volume pretty loud from the Diva scene and the SB36512 handled the gunshots and explosions pretty well. However, the most bombastic moments did hit the output limits of the SB36512, with audible distortion (it sounded almost like clipping) from the front three channels and the subwoofer. I was easily pushing at least 90dB of output in my admittedly large room, so I can’t fault the system too much for this. I finished up with “Blade Runner 2049.” Pretty much the entire movie is an aural demo, so I just l went with the introductory credits and first scene. From the moment the music started, I was hit with a wall of sound. The haunting soundtrack didn’t just hit me from the front though; there was a real presence coming from above and from the sides. 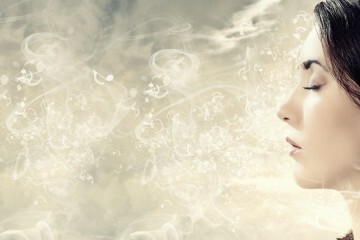 It was more like I was within a bubble of sound and I was completely immersed in the experience. Considering the $499.99 list price, this level of involvement with a soundtrack is really impressive. Once K enters the replicant’s home, I wasn’t let down either, with no issues picking up the subtle sounds from the boiling pot, nor of hearing the back and forth speech between K and his replicant target. Once the fight broke out, all the thumps and crashes were nicely weighted, and the surrounds did their part to add extra ambiance and effects where called for. At just $499.99, THE SB36512-F6 offers a lot for the money. Excellent connectivity, strong output levels, and included height channels add up to a great package. As I did in my VIZIO SB4051-D5 review, I want to remind everyone of the SB36512’s list price: $499.99 (and it was available for significantly less during the holiday season). Yes, just $499.99 for a 5.1.2 surround system with dedicated surround speakers and height channels. Plus, you get a decent performing wireless sub and excellent connectivity options. I know that I was a bit critical of the SB36512-F6’s performance with 2-channel music sources but remember that I am comparing this soundbar to reference-level gear. On the flipside, if you are someone who will mostly use this system for watching movies or television, it is a fantastic value. It’s performance with movie soundtracks was excellent given its affordable price and the addition of the height speakers is a real booster. If you need a surround system for a smaller room and want to try out the added dimension of Dolby Atmos and its height effects, the VIZIO SB36512-F6 soundbar System is an affordable, easy-to-use choice.